I am a freelance Russian – English conference interpreter and translator. 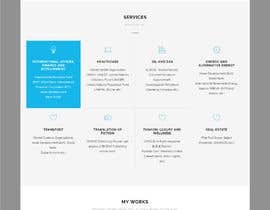 I am looking for a designer to develop a WordPress website for me. 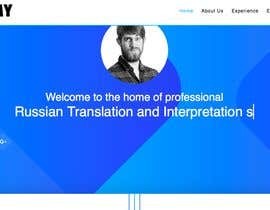 Most of the generic information about me can be found on http://www.RussianTranslatorDubai.com. I want the website to be interactive, visual and persuasive. I am open to any ideas and have no design or content-related preconceptions. Below are just a few ideas. I am NOT interested in generic templates or stale recollections of facts. 1. Simultaneous Interpretation. This includes simultaneous interpretation at dozens of high-level international events annually. More info on the existing website and attached CV. 2. Written translation. This includes translation of numerous reports, analytical documents, presentations, professional literature and fiction. This includes both e-publications and ISBNed publications. More info on the existing website and attached CV. 3. Translation project manager. This includes (a) assembling and managing teams of translators and interpreters to work under mid- and long-term contracts with specific customers and (b) assembling and managing teams of interpreters and translators for specific conferences or translation jobs. The website will have to be bilingual - English and Russian, with the text in the Russian side to be filled by myself later. I want the website to be visual, with information presented in an interesting manner motivating the visitor to learn more. The home page must create credibility and provide sufficient assurance of the quality of my service offering, without going into too many details until the user clicks on the link. 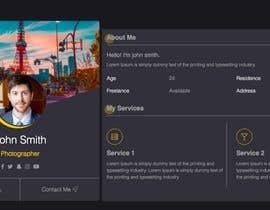 Probably the page could contain three sections/images as per above skillsets that change on hover, providing some more info, and leading to a separate section/page with more detailed information. The way I see it, the homepage could also include a clickable slideshow/banner demonstrating my key milestones/achievements/contracts/events. I have a lot of pictures from past events, and I want to have the ability to easily add more pictures and/or short blog-like articles. 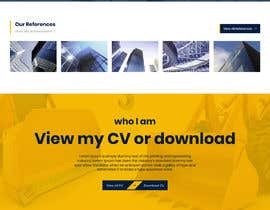 I am looking for a very responsive designer who will answer my queries regarding both current development activities and future management of the website. I intend to manage the website myself in the future, so it should be easily manageable. I do expect answers to my questions on how to do it. Disappointed by the early end! Thank you to all the participants for the interesting entries. Please keep in mind two very important aspects. 1. The website needs to be easily editable by a non-professional - this includes both text and images. 2. The website has to be bilingual from the start - please have two identical versions under Russian and English flag links, for me to convert the English into Russian on the Russian side. Thank you. Hi, please do not close the contest before the date. wait for my entry. Also do you want us to use same color which you have on your website a single one color? Hi, i do not insist on using the same color palette, please feel free to suggest new color schemes. 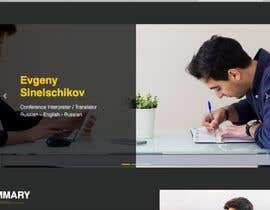 Hello Mr. Evgeny, Please let me know the color pallete that you need for your website and the logo that is needed within your website, needs to be your full name or we can use abbreviation of your name? I do not have a specific color palette in mind as long as it is not too flashy and aggressive. The adjectives that come to my mind would be "professional, reassuring, confident". Hello! I will be submitting my entry a bit later today but for clarification do you want the WordPress website to be similar to your current site in regards to minimalist style or would you like an entirely new look? Thanks. Hello! I am 100% open to new ideas. My preference is to have something entirely new. Thank you for the entries so far. Please note that entries like "this is a dummy text and a dummy site and a set of dummy images but we can do better" will not be considered. The contest will go to the winner who presents the most appealing original design idea and shows that he/she is capable of making it work in practice. Thanks. Please check entry #4 . Let me know your feedback. Please check entry #3. Let me know your feedback. Would you be open to something besides wordpress ? In principle yes, as long as it is SEO-friendly and easy to manage in the future. WordPress is preferred. Hi there, kindly make the contest #guaranteed. You can also reach out to me directly over freelancer messenger for more detailed discussion about your project and I can get started right away. Cheers.